How can we use art to keep the spirit of the Women's March alive? If you're Tracey Erin Smith — the artistic director of Toronto's SouloTheatre — you make a play about it to share its lessons and keep the fire burning. 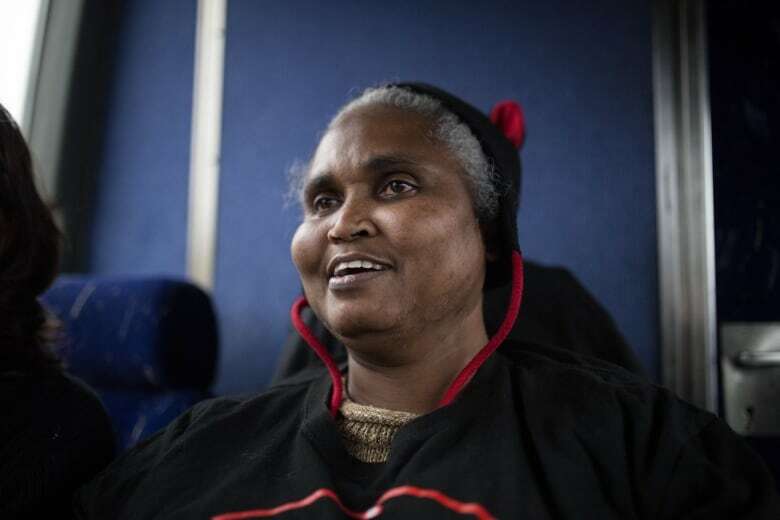 Last Friday, Tracey Erin Smith — the artistic director of Toronto's SouloTheatre — led a bus of 54 women (and one man) to Washington on the "Soulomobile." It was one of 5 buses that travelled from Toronto to D.C. that day, and the only one that was essentially a storytelling workshop on wheels. 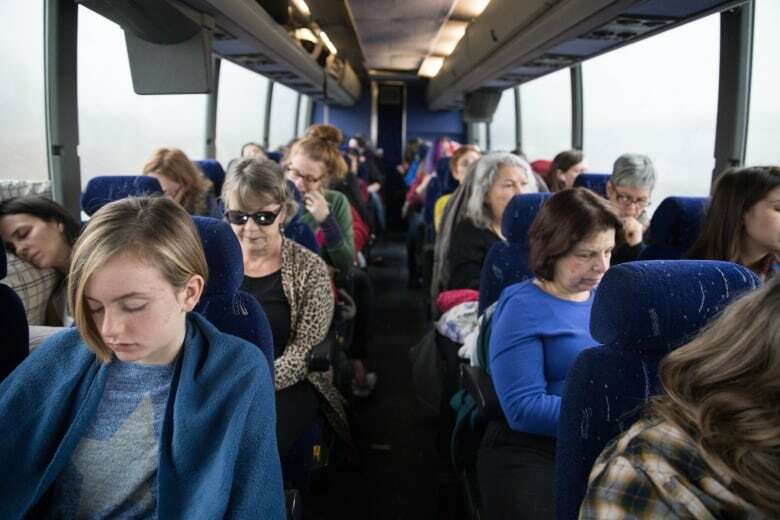 The ride, which brought together women ages 13 to 73 mostly from across the GTA, incorporated individual writing exercises, group interview assignments and on-camera interviews with a documentary crew. The theme of the workshop was standing up for yourself. "For a lot of the women on the bus, this was the first time they'd done anything like this," Smith says. "I wanted them to focus on a time when they stepped out of their comfort zones." Gathering personal stories from participants along with accounts from the march, Smith now hopes to put together a multimedia play about the journey for the 5th edition of Soulo Theatre Festival in Toronto in May. "I want to keep the momentum of the march going here in Toronto," she said. "When we don't share our experiences, they end with us. With art, there's a ripple effect." Smith's participants this weekend included former students who had taken her workshops, women who had boxed with her partner Savoy Howe (the founder of Toronto Newsgirls Boxing Club) and strangers like Jen Lowrie, a 42-year-old jewelry maker from Milton who stumbled on Smith's Soulomobile Group on Facebook. "It was the first bus I saw," she said, adding that she originally found the storytelling aspect of the ride off-putting. "I'm a bit introverted so I didn't know if that would be my thing." 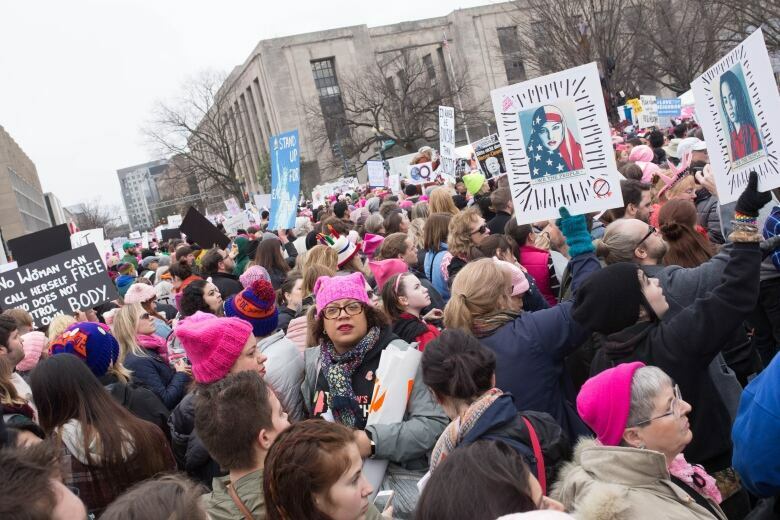 Lowrie, who was inspired to march against Trump's policies in part by her experience of being sexually assaulted as a teen but never speaking up — "There's such a culture of sexism, I felt like it was my fault" — said the experience of marching changed her. "I'm usually shy but I felt really comfortable with these women," she said. She plans to share her story in whatever way possible with Smith this spring. Marjorie Knight, a 53-year-old social worker from Cambridge, will also share her story if she can balance the performance with her busy work schedule. Unlike Lowrie, Knight — who volunteers with Fight for $15 in her spare time — was drawn to the storytelling aspect of the ride. "I'm Jamaican and storytelling is our tradition," she said. 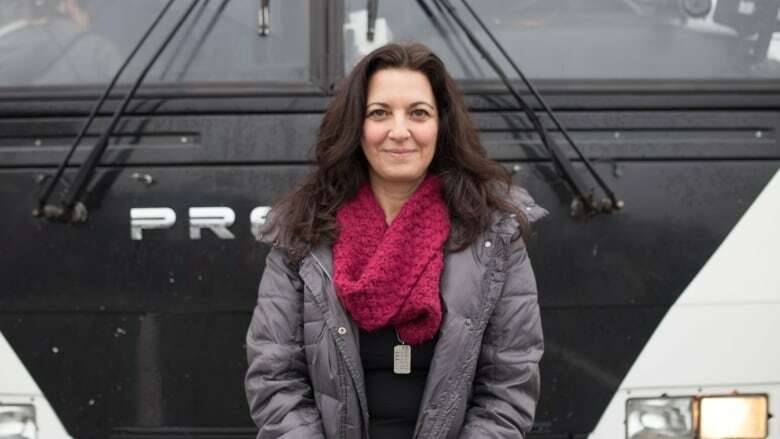 "As soon as I read about that, I knew that was my bus." Knight — who has limited mobility in one of her legs and walks with a cane — said her march experience shed light on the power of communities to come together during hard times. "A woman saw me sitting outside her house taking a break because the walk from the bus to the march was far," she said. 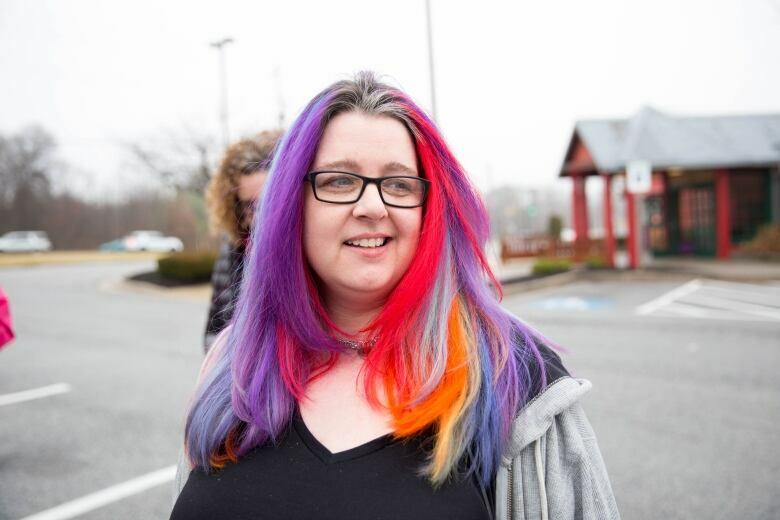 "I asked her how much farther it was and she said, 'Uh-uh, no — I'm driving you.' That was the spirit of the march." She hopes the Soulomobile play will capture this community spirit as well as the diverse range of experiences the march included. "Getting diverse voices out there is very important," she said, "We're all moving towards the same goal and as women we need to hold hands and stand together." Smith says she plans to represent a diverse and inclusive experience of the march in the play that will include the perspective of both Canadian marchers and the marchers they met. Her goal is to help audiences reconsider misogyny by giving the women who suffer under it the stage and encouraging them to keep sharing their stories. "Helping women share their truth, see what they're capable of and discover that anything is possible — that's my passion."